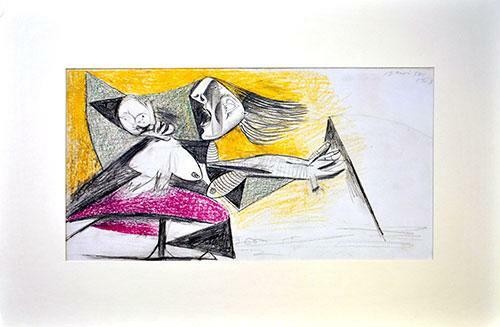 THIS IS A COLLECTIBLE OFFSET LITHOGRAPH BY PABLO PICASSO TITLED, STUDY FOR GUERNICA, FROM THE RARE LIMITED EDITION OF ONLY 999. 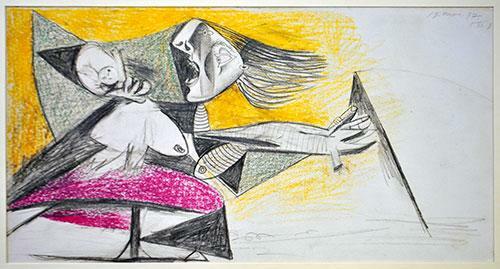 THIS PIECE WAS PUBLISHED FROM THE ORIGINAL DRAWINGS EXECUTED BY PICASSO FOR THE GUERNICA PAINTING CREATED IN 1937. 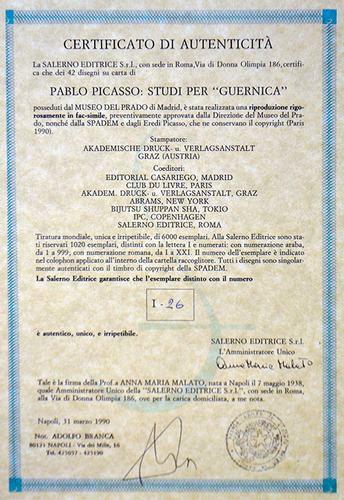 IT WAS PUBLISHED IN 1990 BY SPADEM ET HERITIERS DE PICASSO: PARIS. 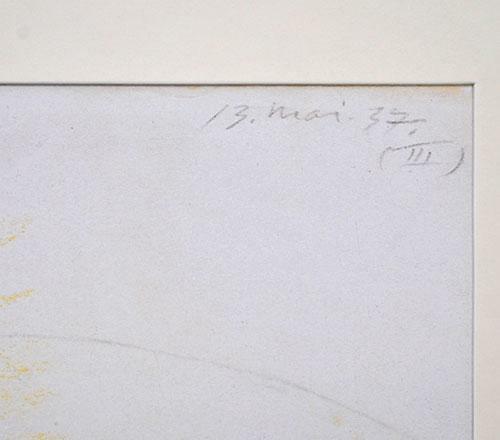 IT COMES WITH THE OFFICIAL DATED PRINTED SEAL ON VERSO AND OFF WHITE MAT. LIMITED TO 999, THIS IS THE UN-NUMBERED EDITION I-26.